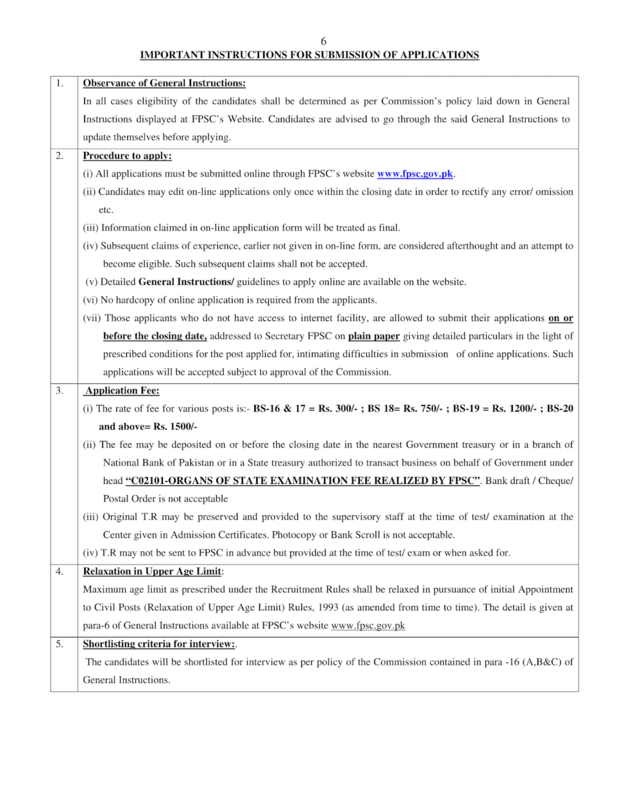 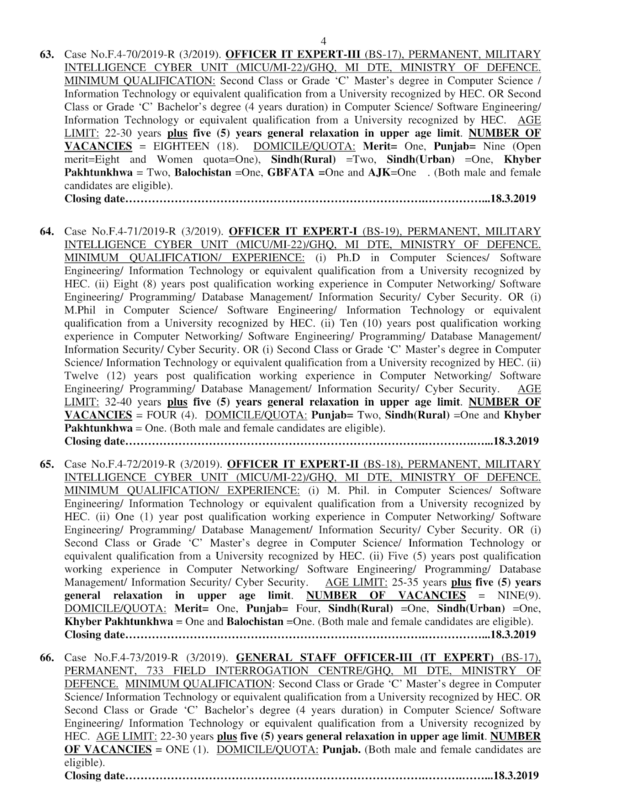 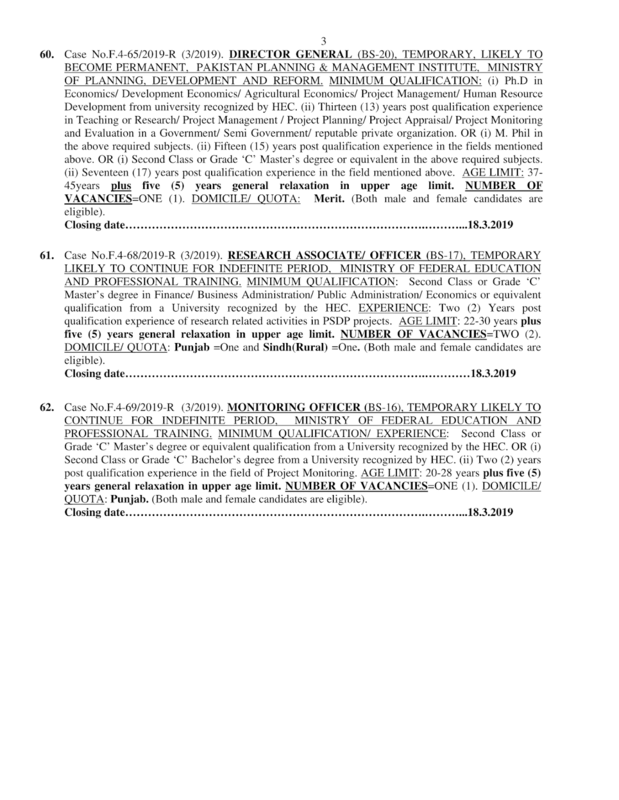 Jobs Description: FPSC Advertisement 03/2019 is given below on our site. 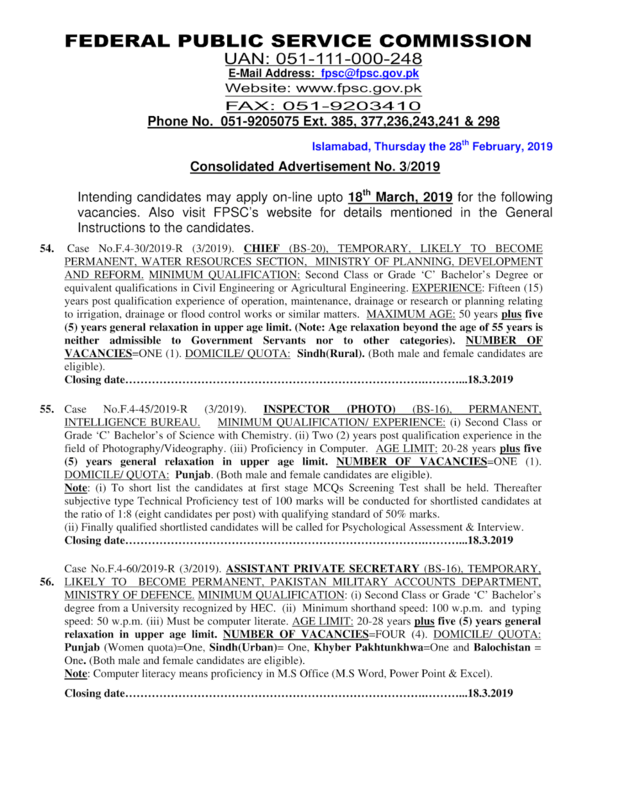 Visit our site to view FPSC Advertisement 03/2019. 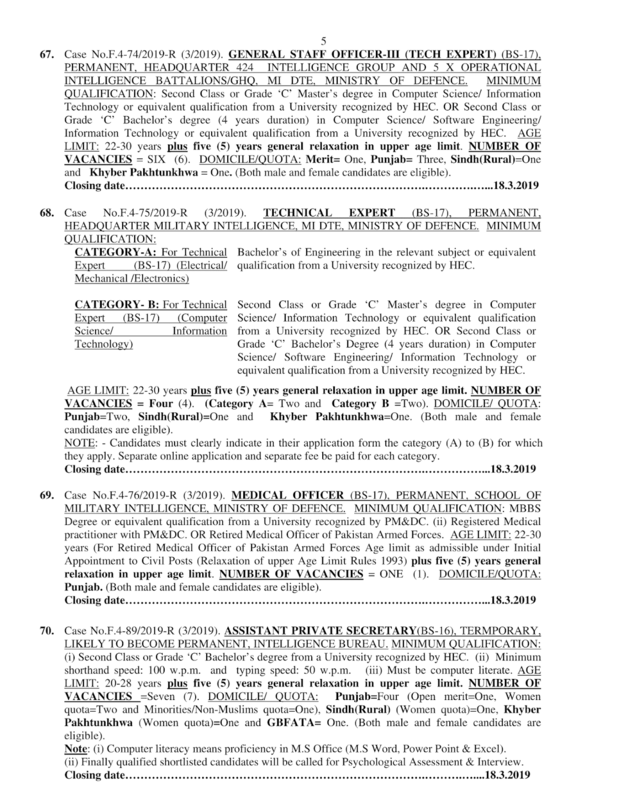 The Government of Pakistan recently announced an advertisement for Jobs in Water Resources Section, Intelligence Bureau, Pakistan Military Accounts Department, Armed Forces Institute of Rehabilitation Medicine, Devolution and Area Development (Rural Development & Rural Planning) Section, Pakistan Planning & Management Institute, Ministry of Federal Education & Professional Training, Military Intelligence Cyber Unit, 733 Field Interrogation Centres, Headquarter Military Intelligence, Headquarter 424 Intelligence Group & 5X Operational Intelligence, and School of Military Intelligence in the Federal Public Service Commission. 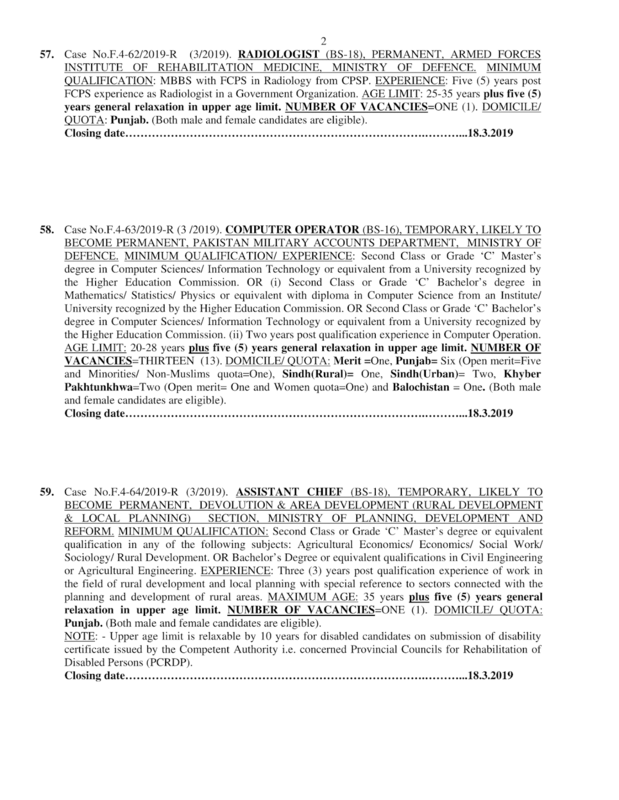 How To Apply: The interested candidates may apply online through the Federal Public Service Commission official website. 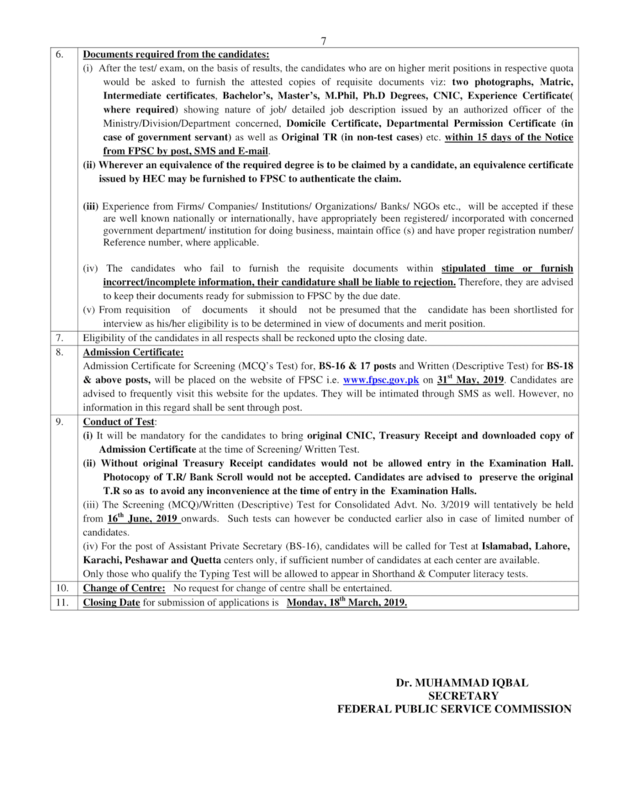 Only shortlisted will be called for test and interviews by the FPSC.